The Embassy Theatre, located on the seafront of the popular tourist resort of Skegness, is the East Coast’s premier entertainment venue. Operating all year round, by Magna Vitae Trust for Leisure & Culture, with a dedicated team of over 30 people, both full-time and part-time, who have a strong passion for the work they do, along with a team of very willing volunteers, we aim to bring you top class entertainment to enjoy. Hundreds of stars have been ‘treading the boards’ over the years at the Embassy, many of whom have returned time and again as both their popularity and a love of the venue have developed with the Theatre. Many of the artistes appearing comment on the friendliness of the team that is at the hub of the theatre. Not just the stars come out to play at the Embassy, we also host many other varied events working with the community, most of the local schools use the venue for their end of year speech days, we also host regular Blood Donor sessions and the theatre becomes the hub for many varied events such as Jobs Fairs and the SO Festival along with being the chosen venue for a variety of conferences. We are always keen to hear your comments, feedback or suggestions for future acts and events at the Theatre, either chat with one of us when you visit or send an email via our contacts page, or you could of course put pen to paper and send a letter! 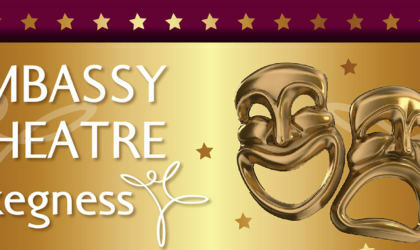 The team here look forward to welcoming you back to the Embassy Theatre very soon.